On Saturday, March 5th, The Alliance coordinated its pre-season Volunteer Training Workshop at the University of Wisconsin Baraboo/Sauk County campus. 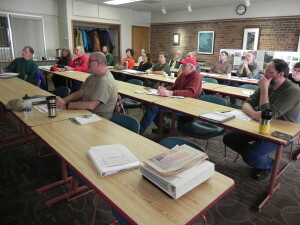 Fifteen experienced and new volunteers joined us for the training day. 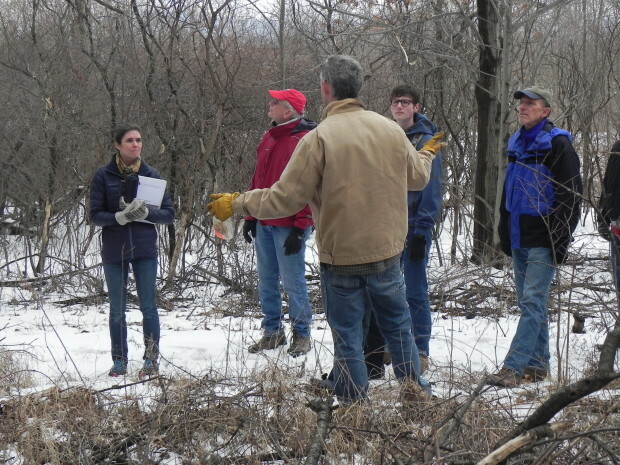 The workshop included classroom instruction and a field excursion to the adjoining campus oak woodland to see the restoration work being undertaken by Baraboo Range Preservation Association (BRPA). The Workshop instructor was Alision Duff (left in photo), long-time volunteer with the Alliance. Todd Persche, executive director of BRPA, led the field excursion. Alison developed a Volunteer Handbook for the workshop, as well. Both the workshop and Handbook were supported by a grant from REI.